Welcome to The Meadows at Falling Water! 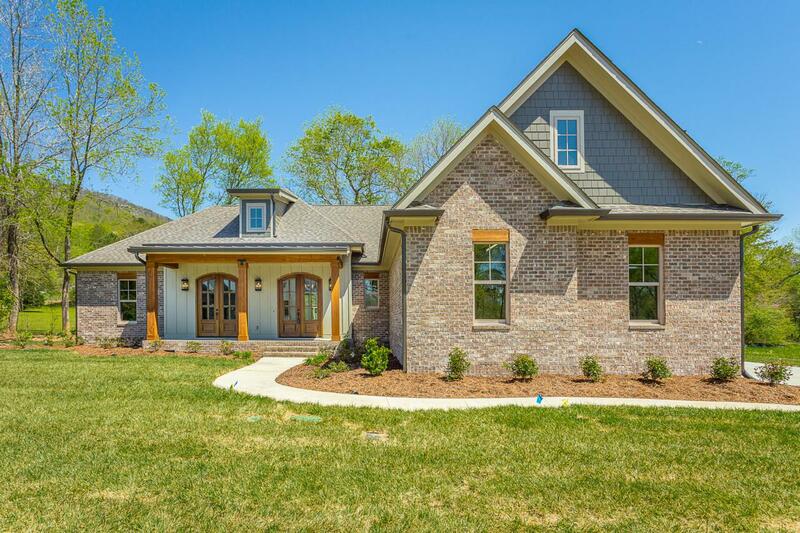 A small, private community of homes with acreage lots and scenic views of Signal Mountain! Convenient location in the Falling Water area just off Roberts Mill Road before the ascent up Signal Mountain. Limited to only 4 acreage homesites in this charming community and only 2 homes remain for sale! The architectural style of this just completed home is a blend of Acadian and French Country with three sides brick. A very comfortable ONE-LEVEL living plan featuring 3 Bedrooms, Office (with closet) and 2.5 Baths on the main level. Above the side-entry garage is a finished Bonus and Full Bath. The double wooden front doors are repeated on the Office/Study (or 4th Bedroom). The Master Suite is private and tucked away from theliving area. Featuring separate closets, separate vanities, tiled shower, soaking tub and water closet, this Master Suite will impress! Above the side-entry two car garage is a finished Bonus and full Bath. Additional features include: Nine foot ceilings on main, mudroom, oversized laundry, walk-in pantry, open concept living plan, large kitchen island, gaslog fireplace and covered back porch. Call today for more details or visit us. Open House most Sundays 2-4pm!